Chowchow won 2 pairs of tickets to the above Comedy Night held at the Hollandse Club but he wasn't able to attend it so I was given both pairs. Went there with Joe and his 2 other friends. Was really looking forward to an evening of laughter, especially after the past 2 stressful months. Was seated towards the back so unfortunately, I couldn't take any nice photos of the 3 comedians so I didn't bother. I love stand up comedy and all respect for these guys because it is really not easy to make people laugh. I really had a lot of fun laughing my head off, especially when Daniel Kinno kept making fun of the audience members seated in the front row. I think that was the really fun part because it wasn't a rehearsed set and only showed how witty and quick he is. Dave Callan did the WHOLE "Single Ladies" song minus 2 backup dancers and he's really really good. Daniel Kinno really did do this whole set but after this, he was full-on mocking the audience, which was HILARIOUS! Destressed? Most definitely. 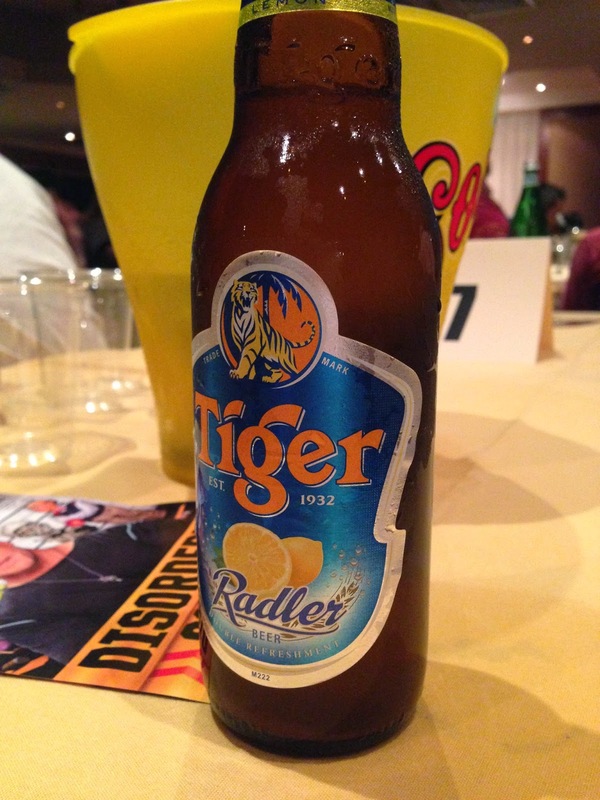 Especially when I had 2 bottles of Tiger Radler that evening - the only Tiger beer you'll ever see me drink.